Thurl Bailey is a retired NBA player who played for the Utah Jazz from 1983–1991 and the Minnesota Timberwolves from 1991–1994. From 1994–1998 Bailey played in the Greek League followed by the Italian League before returning to the the Utah Jazz in 1999. Bailey is an NCAA champion for 1983 plus he was First-team All-ACC in 1983. He was also NBA All-Rookie First Team for 1984 plus he was awarded the J. Walter Kennedy Citizenship Award for 1989. Bailey is currently a broadcast analyst for the Utah Jazz and the University of Utah as well as a a public speaker, an actor, and a singer/songwriter. Sports Speakers 360 is a booking agent for pro athletes. 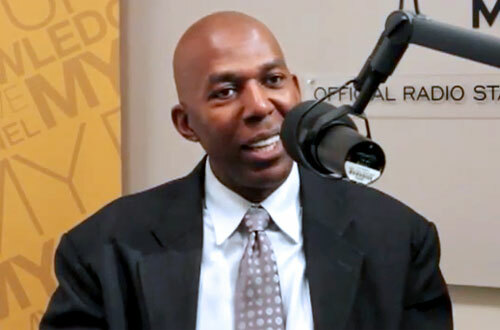 If you would like to book Thurl Bailey for a speaking engagement, appearance or endorsement, contact a Thurl Bailey booking agent for fees at 1.855.303.5450.